Giorgi Bezhanishvili scores a hook shot over Wisconsin's Nate Reuvers. 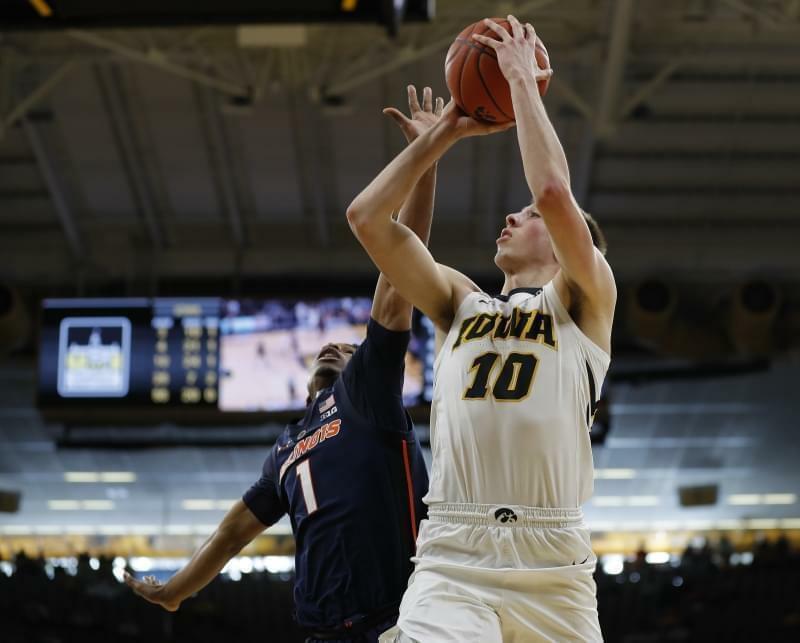 Cold shooting crippled a defensive effort which saw the Illini force a season high 17 Badger turnovers, while holding preseason All-Big Ten team forward Ethan Happ to single-digit scoring for the first time this season. 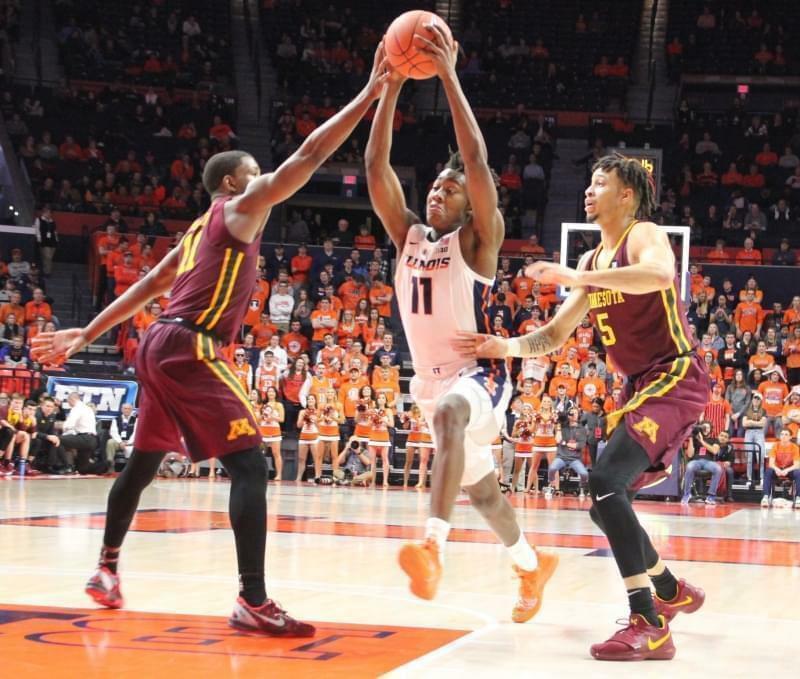 Illinois converted just 22-62 shots from the field, and only 4-21 from the three-point arc. 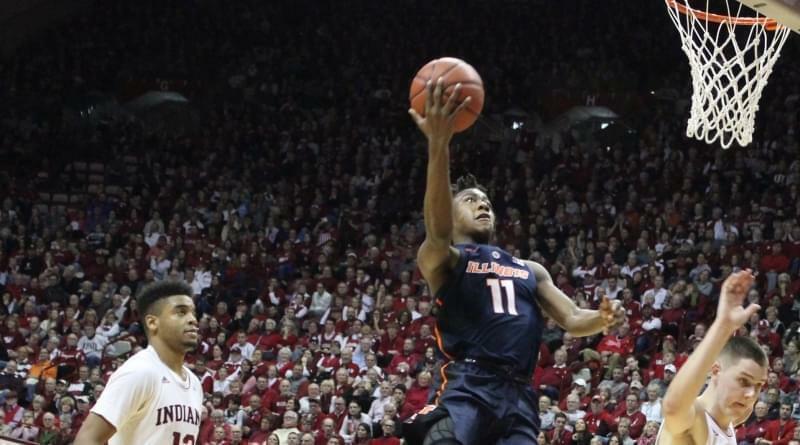 Even free-throws weren't falling for the Illini, who converted just 12-of-22 from the line, including five straight misses during a crucial late stretch which saw Wisconsin shift a 49-49 tie to a 62-52 lead. 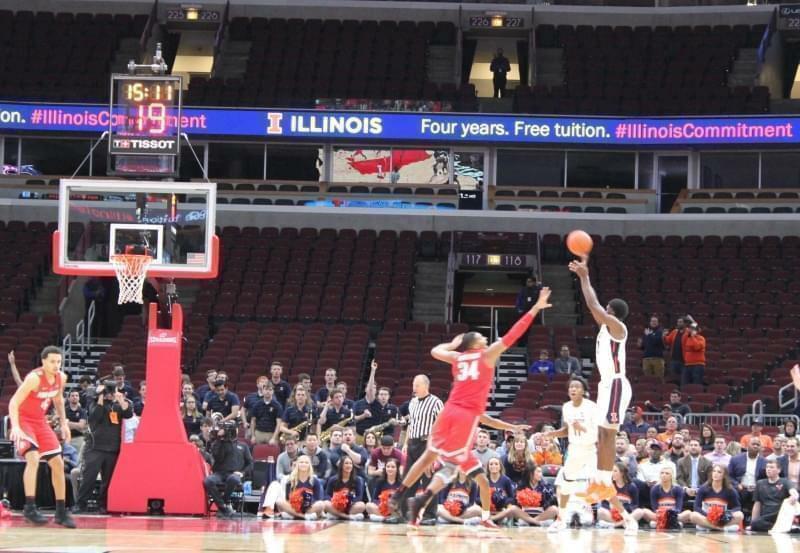 The lone bright spot for Illinois was freshman Giorgi Bezhanishvili, who scored 20 points while holding Happ to 9. Bezhanishvili also grabbed a team-high 8 rebounds. 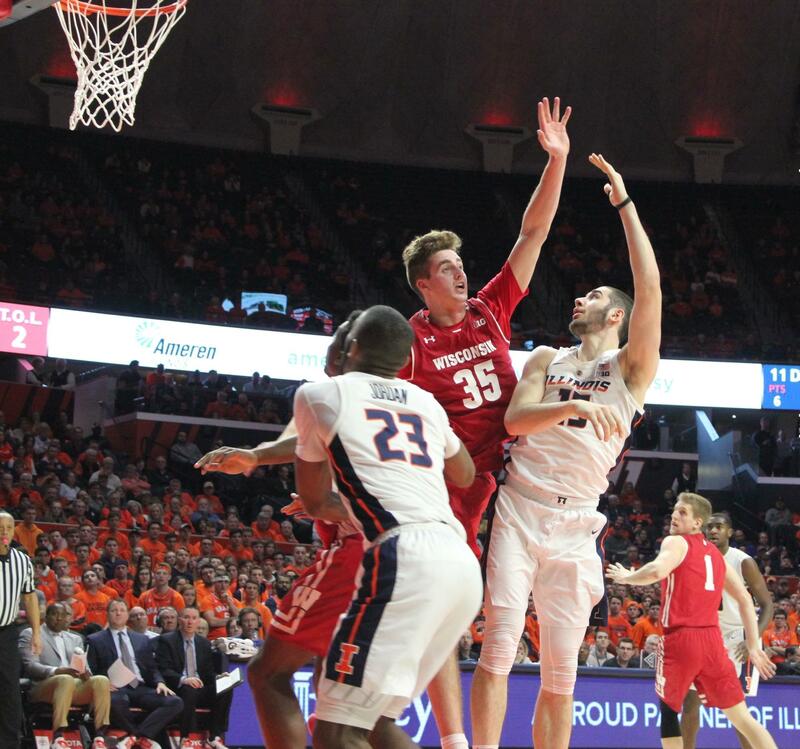 The Badgers were led by forward Nate Reuvers, who tallied a double-double of 22 points and 10 rebounds, including 2-3 from three-point range, and a perfect 6-6 from the free-throw line. Bezhanishvili said Reuvers took whatever the defense gave him. "Ruevers is a great shooter, so he shot the ball well, so we had to defend him outside," he said. "He just played a simple game, you know, really simple." Kahlil Iverson added a dozen points.and Brad Davison 10 for the Badgers. Wisconsin improves to 13-6 overall, 5-3 in the Big Ten. 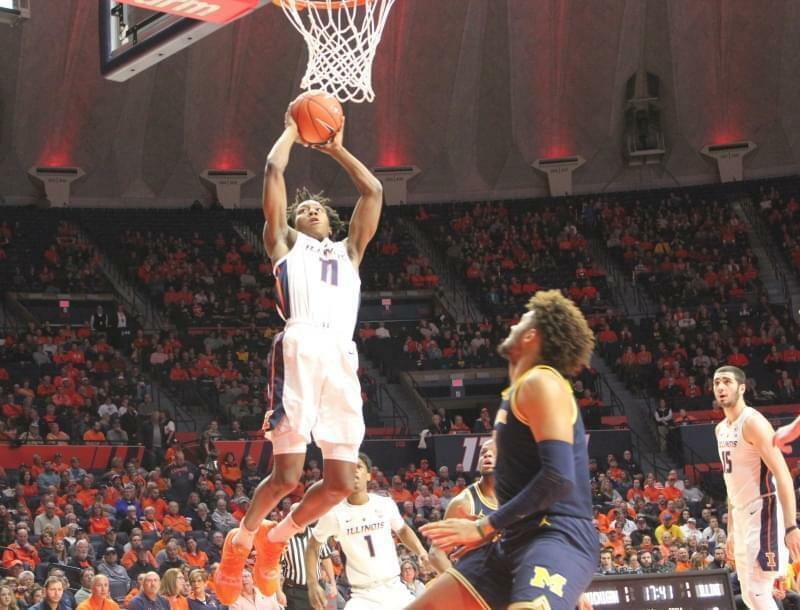 Illinois is 1-7 in the league, and 5-14 overall. 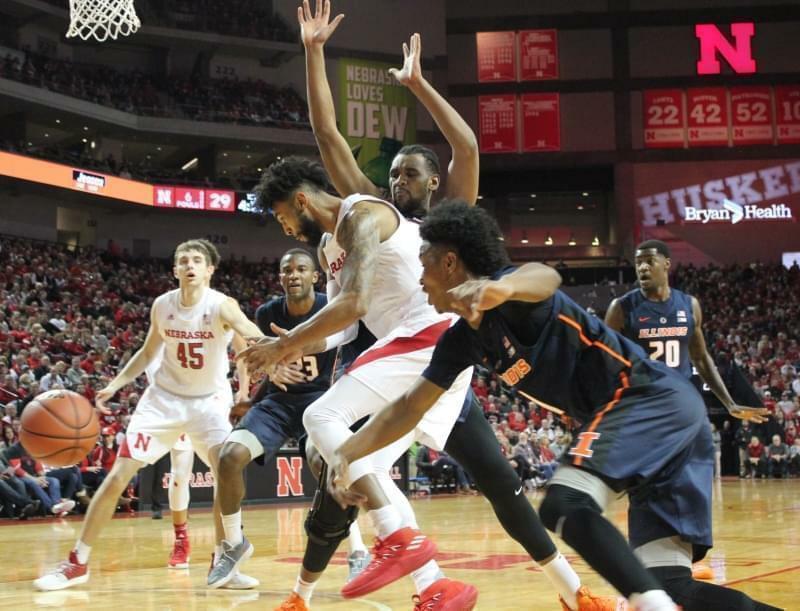 The Illini travel to New York City Thursday. They'll play 13th ranked Maryland on Saturday at Madison Square Garden. That game tips at 11 a.m. Central.